We were asked by the home owner to come up with a solution to a water logged, muddy lawn that was unusable for many months of the year. 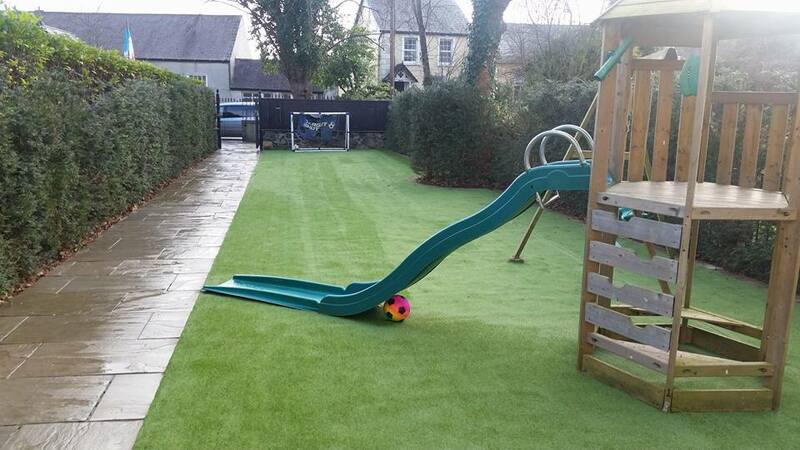 After chatting about the family’s lifestyle we suggested installing a synthetic lawn. Artificial lawns are softer than you think with fibres being 15 mm long. The obvious benefits to laying an artificial lawn is that there is minimal maintenance required and it looks good all year round. Also no more mucky boots!